Maintenance workers at two Toyota Motor Corp. assembly plants in Ontario voted against unionization, in a recruiting setback for Unifor, one of Canada’s biggest unions. 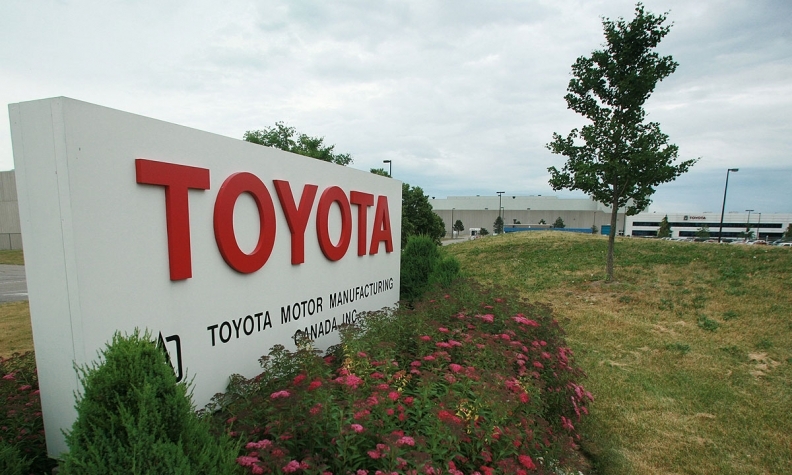 The secret-ballot voting took place last Friday and Monday at Toyota’s Cambridge and Woodstock plants in Ontario. John Aman, Unifor’s director of organizing, said 278 workers voted against union representation, while 238 were in favor. Unifor, which represents Canadian autoworkers at plants owned by the Detroit 3, has struggled to recruit workers at Ontario factories operated by Japanese automakers. Despite the defeat, Aman said the union has made significant progress at the Toyota plants, saying it was the first vote Unifor was able to secure at Toyota. “If the workers would like to try again, we’ll still be there for them,” he said. Aman said Unifor would continue pushing for unionization at Toyota and at Honda’s Alliston, Ontario, assembly plant as long as there is worker interest. He said he expects interest in unionizing to grow during Unifor’s negotiations with the Detroit 3 automakers in September.